Injuries are always a tough time especially when you love being active, they can make the most simple of tasks a real challenge not to mention they can really get you down. Being positive is one of the most important aspects when it comes to recovery as I will come to explain. I recently injured my self while snowboarding in Verbier Switzerland, long story short I snapped two ligaments that attach my collarbone to by shoulder. This means my left arm is in a sling for 6 weeks while my ligaments repair, regrow & re-attach, however I don’t want to wait 6 – 15 weeks until I can start rehab exercises. So here’s what I’m doing in a bid to speed up my recovery time & get back to lifting as soon as possible. Ok time for a quick science lesson. Ligaments are tough connective tissue that links bones to bones and is part of the joints of our body, ligaments are about 75% collagen and when first damaged you can expect inflammation around the area before the rebuilding process can take full effect. With ligament and joint injuries make sure you seek professional help to start with as surgery may be needed and support of the joint is almost always required. When tissues like ligaments become injured, they are deprived of much needed oxygen and nutrient rich blood. 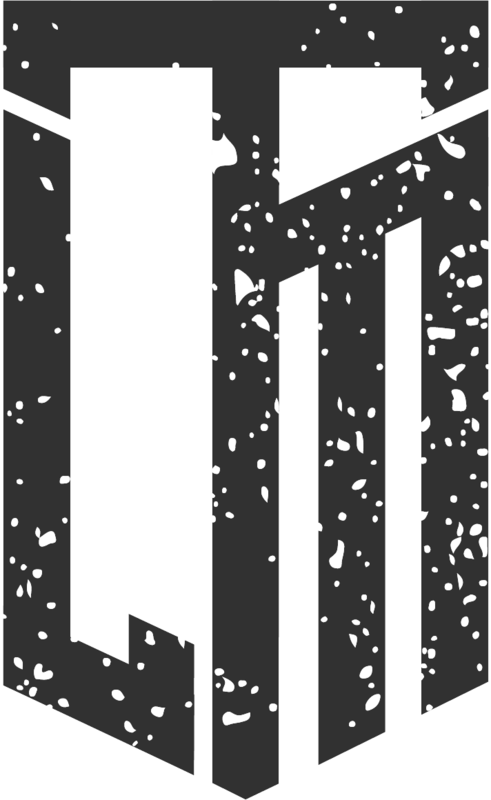 This combined with the initial damage leads to cell death. The body then needs to remove these dead cells in order to create new ones. This is why an inflammatory response is created to do several jobs one of which is to promote pain caused by swelling, Mast cells release chemicals such as histamines these chemicals interact with nerve ending pain receptors known as nociceptors this creates a constant feedback loop between the injured area and the brain & helps you decide wether & how to immobilise the joint to prevent further injury. Redness and heat is a by product of the increased blood flow and the raise in temperature allows cells to metabolise faster. Ok now we know some of the process to healing and what ligaments are made of, so what can we do to potentially increase recovery speed. It’s worth noting that the supplements and products I use may well have scientific evidence or anecdotal support to their recovery effects, but still we maybe only talking about a small percentage of improvement in terms of recovery time. For me i’m happy to work or spend money to get fit as soon as possible and wether that’s by only a few days or even weeks sooner i’m still willing to pursue these avenues. One of the staples of my recovery has been bone broths, you’re probably thinking “Bone broths?? WTF is up with this dude” well i’m not as mad as you may think and bone broths are getting more and more popular. Bone broths are broths which is pretty much a stock reduction almost like a soup which has had bones in it. By adding bones like beef knuckles and cheek into a broth and allowing it to reduce for long periods means you can get some real health benefits from the marrow of the bones such a collagen. Collagen is a major constituent of ligaments and connective tissue meaning it can be great for soft tissue injury recovery. I got mine from Borough broth company although you can make your own! 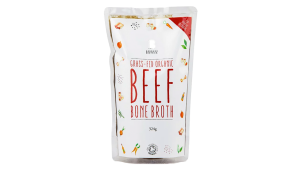 The bone broth is cooked for 24 hours and is high in protein, collagen, gelatine and amino acids. It’s gluten free, dairy free and paleo friendly. It’s also organic and only from the best sources, also they don’t use any preservatives, palm oil, extracts, emulsifiers, msg, flavour enhancers, or acids. Personally I have one first thing in the morning and at night, bone broths have also been said to aid gut health. When it comes to being optimally healthy and making sure your body has all the tools (vitamins & minerals) to repair, perform & recover, then a multi vitamin can be a great help! Especially if you lack a varied diet which may leave you a little lacking in certain vitamins or minerals. For example Vitamin C also known as ascorbic acid is one of the most important nutrients for collagen production. It’s essential to build the bonds between strands of collagen fibers. This vitamin C-dependent step is responsible for collagen’s strength, which means that lack of vitamin C results in abnormal healing and a weaker ligament. 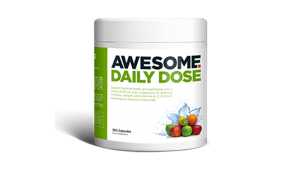 By far the best supplements out there in our opinion is Awesome Supplements daily dose is also a great price at £35 especially when you get all your nutrients in one convenient product. It also has 2000mg of omega 3 fat per daily serving at the normal cost of a high quality fish oil as a stand along product as well a all ingredients being effectively dosed to support optimal health, performance and recovery. More research is being done to show the effects of positive thinking on your life and health & the results are really exciting. It’s finally starting to give positive thinking some weight behind it rather than something people just brush under carpet as some hippy, guru rubbish. You can find out more about the research here! Many think due to injury and therefore less activity that daily caloric intake needs to be reduced, well this is certainly not always true! Let’s say you twist your ankle so your training is more static such as using upper body machines like chest press opposed to running, burpees or squats. Sure you burn less calories each workout but you’re also walking on crutches ALL day which requires far more calories than normal walking, so in fact your calories may need to be increased. This calorie increase will aid recovery especially if protein is elevated when compared to being reduced on a lower calorie “injury” diet. We all know protein is vital to the constant regeneration of the bodies tissues and this never more important than when healing. You can always add whey protein to your diet if you are struggling with eating food due to time scales or affordability, I would always recommend food over supplements. This is another supplement with mixed opinions, it has certainly been shown to reduce pain in the older generation with osteoarthritis. Glucosamine is naturally made in the body, where it directly or indirectly helps build tendons, ligaments, cartilage and bone. It also provides a thick fluid that lubricates joints. Like so many supplements glucosamine sulphate may take several weeks before effects become apparent much like creatine. For me i’m taking 2000-3000mg a day split into 3-5 doses, 3 for week one then up to 5 after. It’s really down to you with how much of the above you take on board, I personally feel along with the conventional rest and icing that the above can be really advantageous. Especially remaining positive so the injury doesn’t impact your life further than it should. Ultimately I hope this helps you and I wish you a speedy recovery if you’re injured.